Repeating one of the exercises learned during the Andy Evansen workshop. 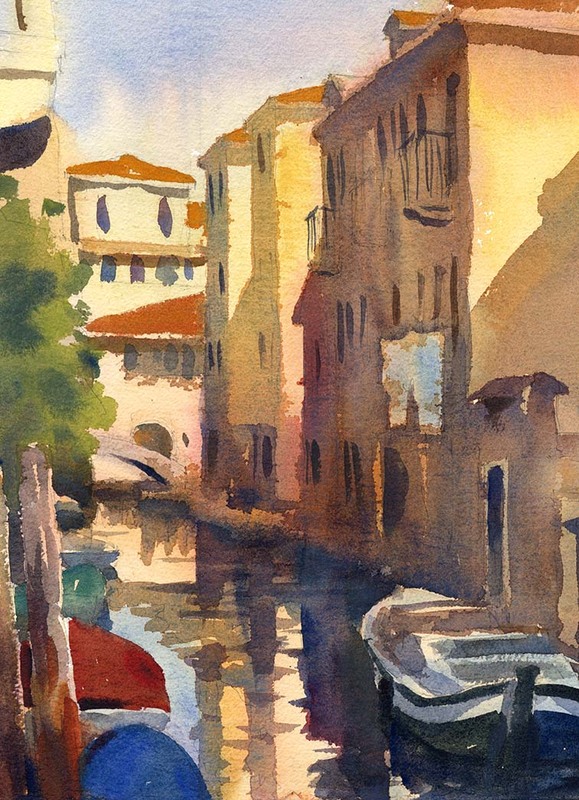 Simplifying a scene, identifying the large mid value shape. Doing a value study as a shape testing and shape painting plan. Preparing wash puddles larger than needed. Painting shapes continuously down and across the painting by overlapping and maintaining the bead of wash shape. 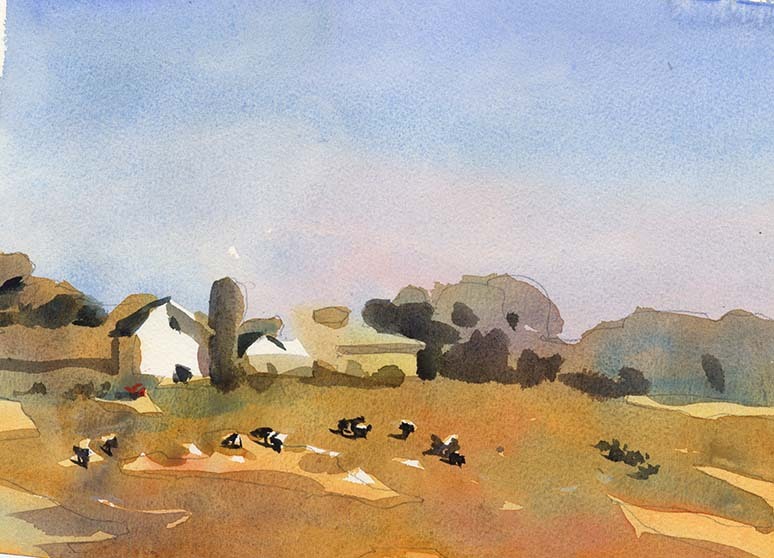 Working from light to mid to dark, loosely in the beginning and tighter towards the end. Loosing detail in the beginning and bringing it back at the end. Paint every day even if it’s just for 15 minutes either by laying a clean continuous wash of one or several colors. Test brushes and papers. 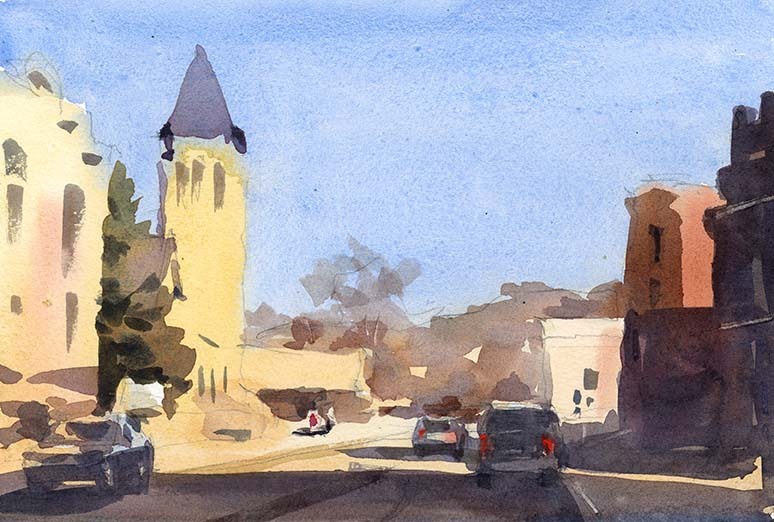 Hone the ability to pitch values in watercolor dark enough by seeing how much lighter it dries. Reserve whites where needed, paint negatively, paint negatively, paint negatively, repeat, and repeat and repeat. 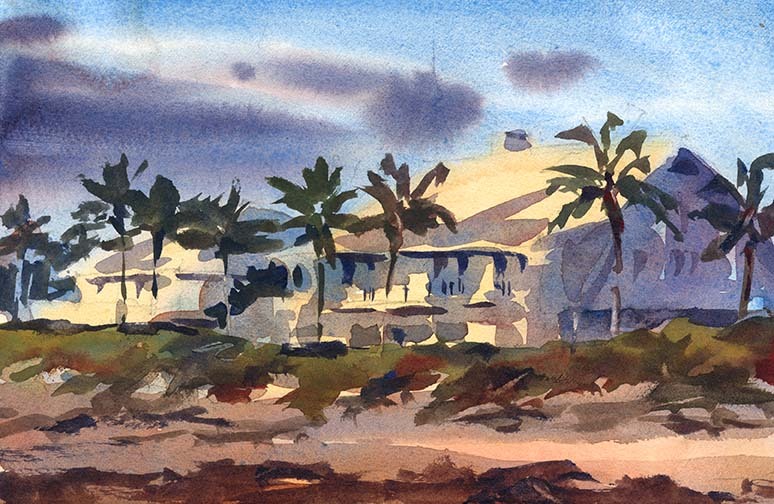 Three day workshop with Andy Evansen on Marathon Key, Florida. 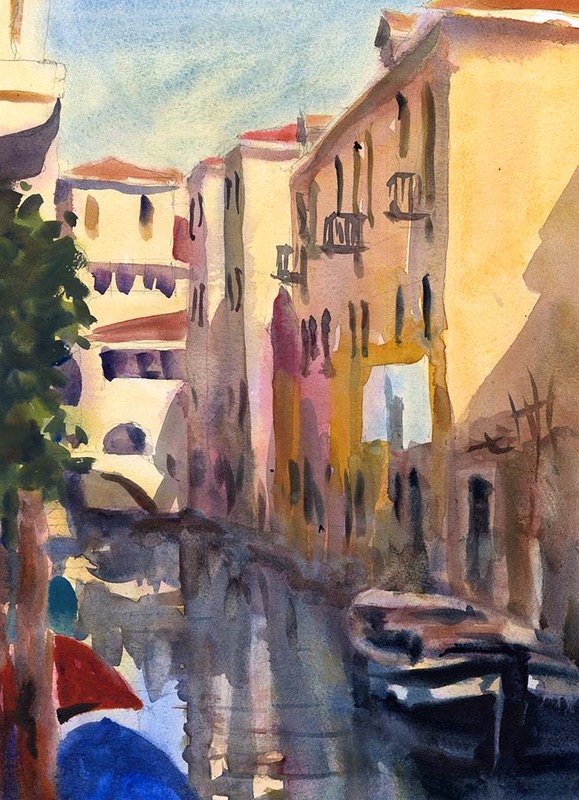 Hosted by the Florida Keys Water Color Society. 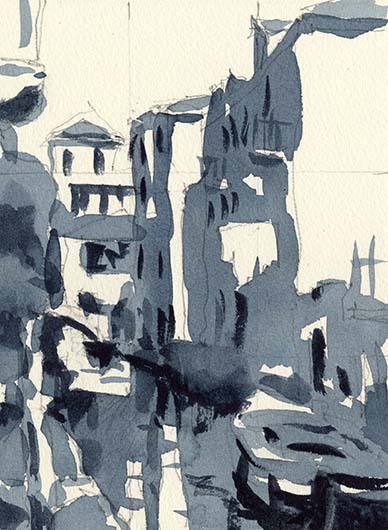 Venice_190116d1 11×15″ sketch of a travel photo, Arches 300lb. cp. 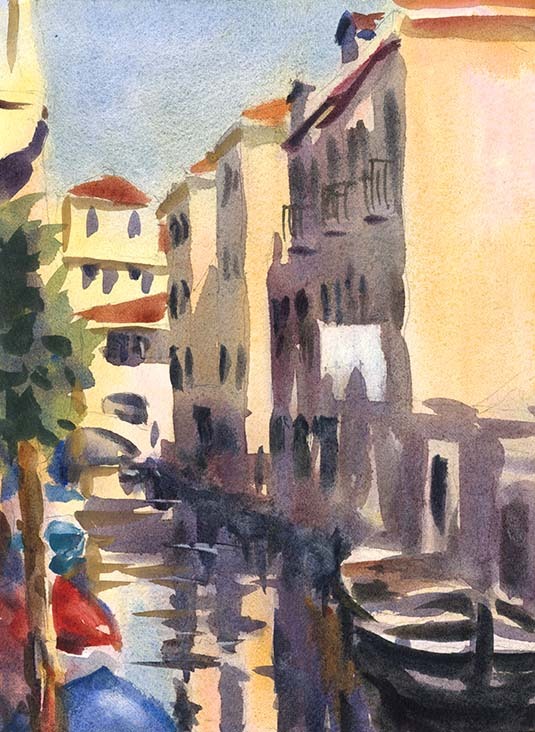 and Venice_190116c1 11×15″ color study, Fabriano Artistico 140lb. cp. 5.5×7.5″ value study and 7.5×11″ color study of a travel photo.